What is the first thing you think of when you hear the word Jasmine? A perfume, tea, a cartoon character? Jasmine has so many uses and it is widely popular in the modern culture that it is understandable to hear the word Jasmine in multiple niches. But actually, Jasmine first became popular for one reason, its aroma. Jasmine is native to the Himalayan region of northeast India. Featuring highly fragrant, white star-shaped flowers. During the 16th century, Jasmine was introduced to Europe and the world by Spanish Traders. When it eventually made its way to Grasse, France, its highly fragrant blooms became the source of attar of Jasmine which became one of the more captivating scents used in the perfume industry. It is very expensive not only because of the process of harvesting but because of the demand. Jasmine blooms have a long blooming period, lasting from March to October. For the remaining months when they are not in bloom, it will then go into a resting stage and this is when the Jasmine is then harvested. Jasmine is hand-picked at a specific time of day, as the sun-crests, due to the aroma being the strongest at this time of day. For many centuries, Jasmine has also been used by many different cultures, for many different purposes. Jasmine oil comes from the Jasmine flower and is beneficial in many different ways including improving immunity, mood, overcoming stress, and helps balance hormones. In Asia, Jasmine oil has been used for hundreds of years to also help treat, depression, low libido, insomnia, and stress. Catching the smell of a refreshing scent can have a powerful and positive effect on ones' mood. Picking up the sweet and clean scent of Jasmine does just that. Jasmine oil used with aromatherapy or even by being absorbed by the skin can have numerous effects on the body, including blood pressure, heart rate, stress response, and other biological factors. It can also be used as an aphrodisiac, due to its seductive scent. Remember how I mentioned how a smell can change one's mood? Wink.. Wink.. Hence the nickname "queen of the night" because of its effect on one's libido. Massage some Jasmine oil into your scalp using your fingertips. Due to its aromatherapeutic properties, not only can it help treat stress it will also condition your hair and provide it with the necessary nutrients that are essential for hair growth. Bye Bye itchy scalp. Jasmine oil is made up of benzaldehyde, benzyl benzoate, benzoic acid, all which contain antiseptic properties, making it a great option to help with the treatment of scalp problems like eczema, dryness, itchiness, and dandruff. Make sure to use twice a week by massaging into hair and scalp. Not only will it treat your scalp, it will also keep the moisture lock between the scalp and hair making your hair relaxed and soft. By adding Jasmine oil to your conditioner in combination under the hair steamer can have a very relaxing effect on your senses helping to reduce stress levels. Jasmine oil contains anti-microbial properties that will deter the growth of microbes in your hair. The scent of Jasmine also will flush out head lice. It is even more effective for reducing lice and dandruff when mixed with carrier oils. No matter your hair type; frizzy, dry, tangible, curly, coarse, or Afro-textured hair, Jasmine oil helps tame your hair so that you can do what you want to it. With all the health benefits that Jasmine gives your hair, it is not surprising what the outcome will be. It's as easy as massaging Jasmine oil into your hair two times a week. You can also add additional oils like coconut or olive oil to your hair at least two times a month. Healthy hair will lead to shiny, manageable and beautiful hair. 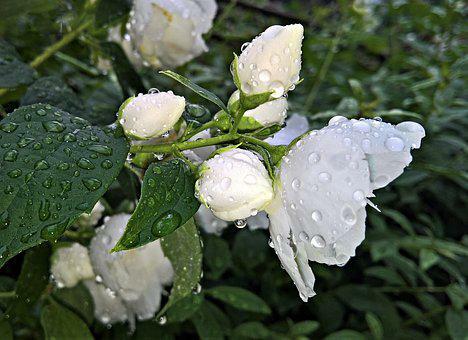 Much like its effect on hair, Jasmine contains natural antiseptic properties, that serves as a disinfectant. Jasmine contains benzoic acid and benzyl benzoate which can kill and inhibit fungi and bacterial growth. Also, it can help speed up the healing process and help reduce the chance of infection. The antioxidants that are in Jasmine helps protect the skin from environmental stressors and that will give you healthy and youthful skin. Before going to bed each night, take a small amount of Jasmine and rub on your face and neck prior to putting on your moisturizer. This will help slow the process of fine-line development as the oil promotes the production of collagen, which helps fill the void between wrinkles. Jasmine can not only negate sunspots it can also help reduce acne scars, stretch marks, and other scars. There is some belief that Jasmine can even help reduce the appearance of cellulite. Known as a natural cicatrisant, which helps target and reduce a scar appearance. The most important thing you can do when it comes to skincare is to moisturize. Aim to moisturize your body after taking a shower and try to moisturize your face and neck every night before going to bed and prior to applying makeup when you start your day. Jasmine is an excellent choice to use because it is a natural moisturizer that will not clog your pores. Jasmine Oils have soothing properties that will help soothe irritated skin, itchy, and dry skin. It'splant based remedy is non-irritating and non-sensitizing which makes them a perfect choice for skin treatments, especially those with sensitive skin. So how do you do it? How do you create the perfect remedy for using Jasmine to add to your daily hair and skin care routine. If you suffer from dry hair and scalp, mix one part of Jasmine essential oil to four parts of coconut oil, olive oil, and argan oil and massage into your hair and scalp. Leave on for one hour before shampooing. After shampooing, apply a 1:3 mix of a Jasmine and coconut oil to your hair to help condition and leave your hair smelling phenomenal. Mix one drop of Jasmine oil with virgin coconut oil and massage into sensitive skin without causing a breakout. Jasmine essential oils blend well with a variety of other essential oils. These include Frankincense, Lemongrass, Geranium, Sandalwood, Melissa, Wild Orange, Rose, Spearmint, and Helichrysum. 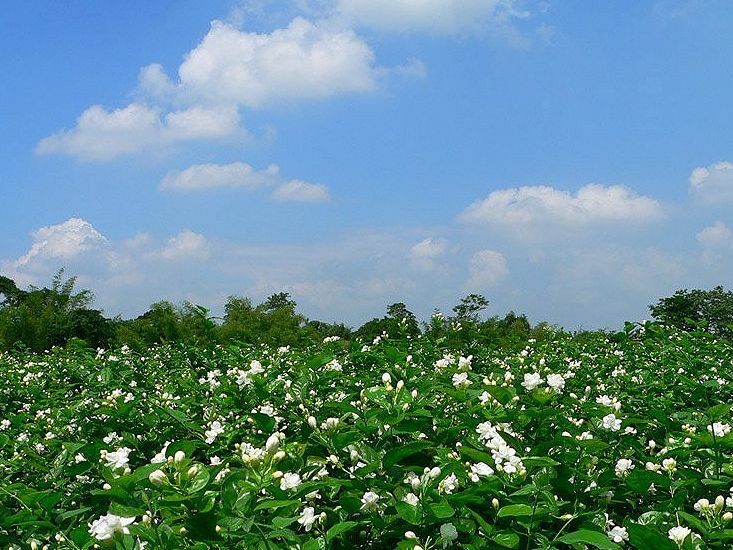 For hundreds of years, Jasmine is widely popular among different cultures around the world. It has been used as a tea, an aphrodisiac, and a stress reliever, among other things. Finding a beauty treatment that works can be difficult because of the fact that it may not work. But with Jasmine being so versatile it is easy to see why it is so popular to include in one's daily health and beauty treatment. Don't let the cost fool you. Yes, Jasmine can be quite pricey, but what are you willing to pay for a product that not only works for skin and hair health but can have numerous effects on not only your body but your mood as well.